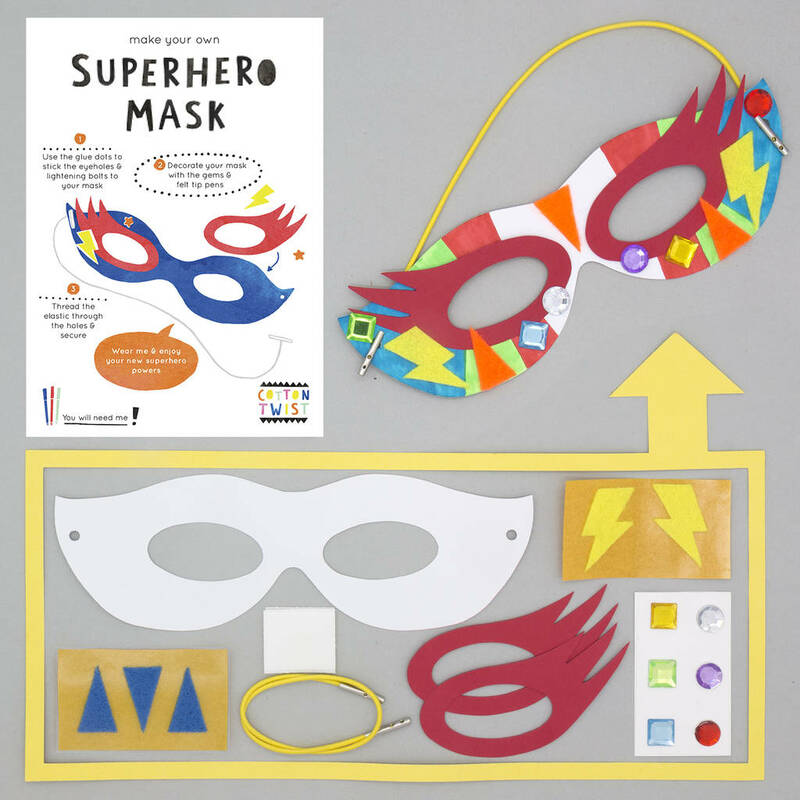 Design and make your very own superhero mask. 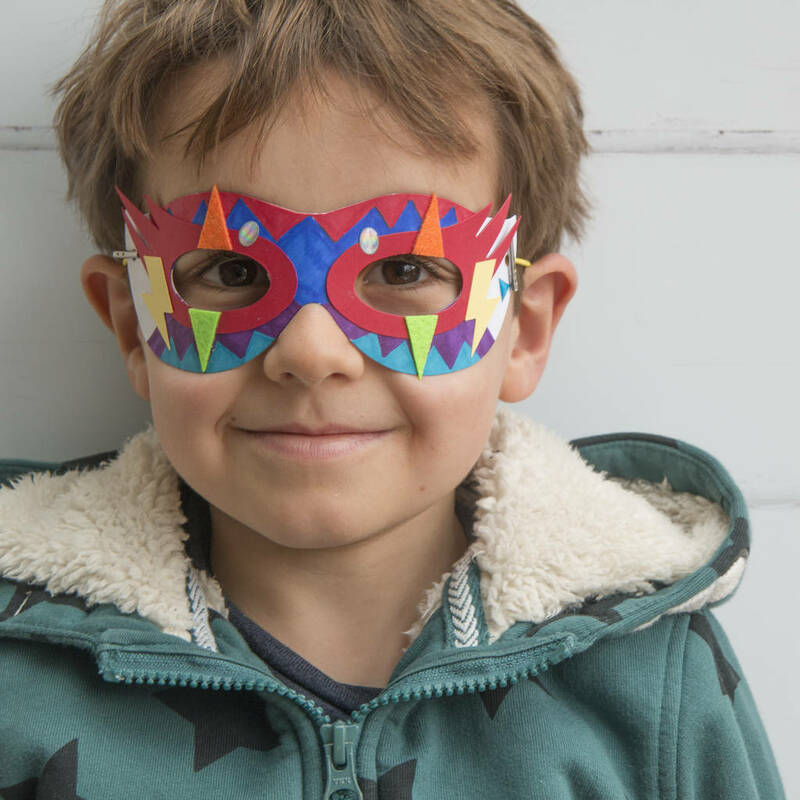 Perfect for three to eight year olds, children can use the cut outs, jewel embellishments, glue dots and elastic to turn themselves into their favourite superhero. Just add felt tip pins, and some special powers. Watch out spiderman. Cardboard mask cut out, cardboard eye cut outs, cardboard lightening cut outs, elastic mask strap, self adhesive gems, glue dots. Pack comes with an A6 card in a cellophane packet measuring 16.5cm by 12cm. This product is dispatched to you by Cotton Twist.